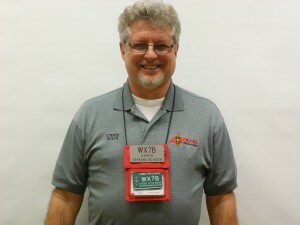 January —President Chris WX7B explained about the N3FJP logging software which he and others in the SDXA use. 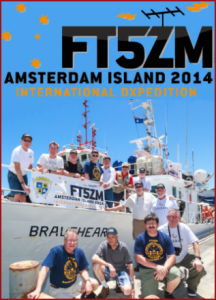 February — Video of February 2014 DXpedition to Amsterdam Island (FT5ZM); Show and Tell for favorite QSL cards. March — Video of the Navassa Island DXpedition (K1N); Individual discussion of our first QSOs; discussion of upcoming Heard Island DXpedition (VK0EK). 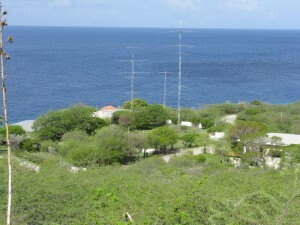 April —Geoff Howard W0CG/PJ2DX discussed his contest station PJ2T in Curacao – “The Year of the shack at PJ2T – a Total Interior Station Rebuild.” Members discussed their worst fire occurring in equipment. 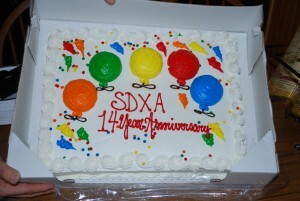 May —14th SDXA Birthday party at the South Hill Round Table pizza place – original meeting place back in 2002 for the first organizational meeting for the start of SDXA. June —Commercial (and amateur radio) tower climber Jeremiah Puhek from JP Telecomm gave a presentation on safe tower climbing and standards in the industry such as lightning protection, etc. 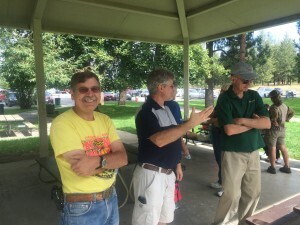 July — Steve W7VI gave a presentation on hex beams including bring his 6-meter version he built himself. 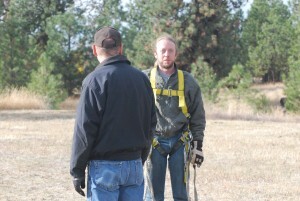 He has two hex beams himself for HF, one for SSB and the other for CW and digital. September —Video of the 5A7A Libya DXpedition put on by Rudi DK7PE in November of 2006; also included info on other Libya DXpeditions, 5A0A in 1987, the 1995 operation, and recently 5A1AL. 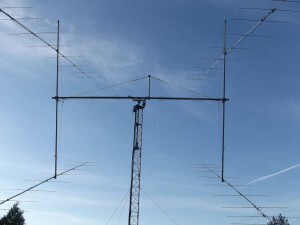 October —Craig Stevens KG7H of Clark Fork, ID presented an introduction to EME especially as it pertains to his quad array of 9-element 6-meter antennas. 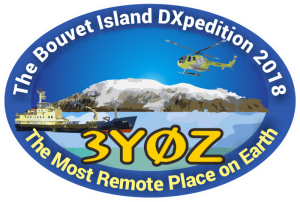 November —upcoming 2018 Bouvet Island DXpedition – comparison to previous Bouvet Operations. DVD of the 3Y5X DXpedition of 1989/early 1990.